If you haven’t planned your vacation yet, then you have arrived at the right place. Beach lovers will be pleased with beautiful Vizag beaches. Vizag beaches are the major tourist destinations in the state of Andhra Pradesh. 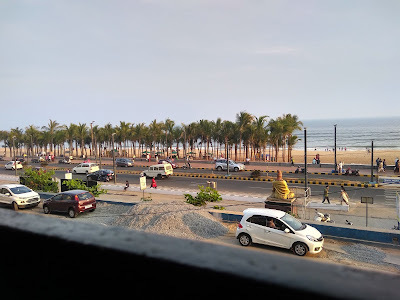 Top Vizag beaches for tourist includes Ramakrishna Beach (R.K beach) and Rishikonda beach with plenty of scenic beauty and lush greenery. Vizag is also called Vishakhapatnam which is located at the coast of Bay of Bengal. Vishakhapatnam is the financial state of the Andhra Pradesh, and it is also the administrative headquarters of Vishakhapatnam district. Vizag is the place for beach lovers, seafood lover and most importantly nature lover these all are attached to everyone’s heart of the city. Not only this but areawise also Vizag is the largest city among all other cities of Andhra Pradesh. During the colonial era, Vizag called as Waltair. 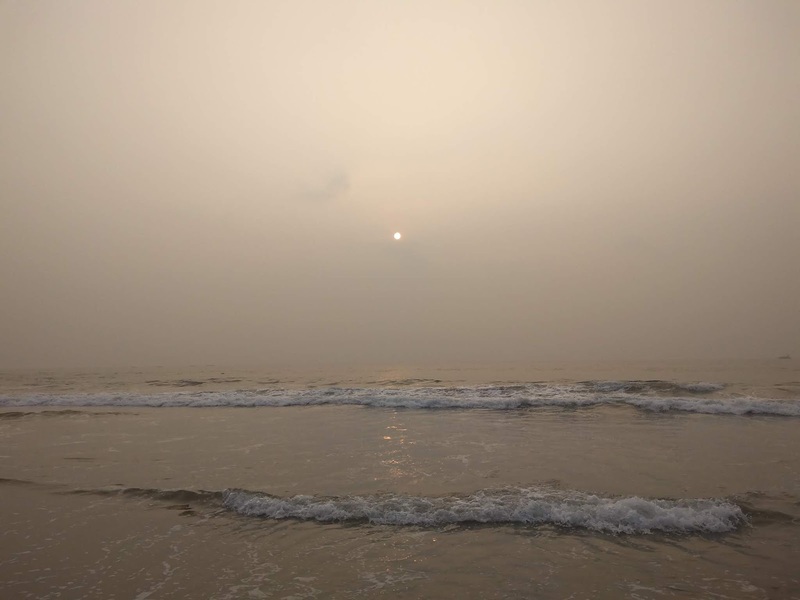 Keep 2-3 days in your hand to visit in and around of top beaches in Vizag. Tourist will have outstanding views and trip experience if they visit from November to February. Let’s put some light on top beaches in Vizag for tourist. This is one of the beautiful beaches to visit along with parents and friends. Tourist mostly loves the natural beauty of this beach. Pristine water drives the additional beauty to the beach and attracts more visitors. Ramakrishna beach is famous for a stroll across the beach side in the evening time and also for jogging and exercise place. R.K beach is not safe for swimming; there were several cases of people drowning in the sea. This is one of famous beach for seafood. People here enjoy mouthwatering seafood of their choice. Beach is majorly occupied by seafront so you can say this beach is the centre of attraction for Vizag city. Best time to visit: Early morning to see the sunrise and in evening to enjoy all perks. If you are travelling a couple, then you must visit this fascinating place. This beach has many sea facing hotels and guest houses best for the stay of a couple and newly married pair. This beach is wrapped up with greenery and big rocks. The spectacular beauty of the beach is the main attraction and offers relaxation of mind and body with soft golden sands. Rishikonda Beach is the prime spot for tourist and falls under must visit place in Vizag tour. Early morning gives the beautiful scenic sunrise view. It seems like the sun is rising from a small distance away. This beach is famous for water sports like jet skiing, banana riding, paragliding, parasailing, hovercraft riding, rafting with the boat, and so on. After a long tiring day in this beach then don’t forget to sip refreshing coconut water. Distance: 15.5 Km from vizag railway station and 8 Km away from Vishakhapatnam port. Best time to visit: Early morning to see the sunrise. Things to do: Water sports, enjoy seafood and evening spicy food like corn masala, fruit toss, etc. If you are a hard die beach lover and not visited Yarada Beach, then you are missing out on something exotic. Among all the famous beaches Yarada beach is one of the amazing beach in vizag city. This beach is eveloped by the huge Bay of Bengal on one side and other three sides are covered by magnificient hills. This beach is very less crowded and enchantingly beautiful. Yarada beach is the safest beach for swimmers. I would suggest this beach for your precicous time to be spent over watching the captivating views of sunrise and sunset. Distance: 15 Km from vizag city. Things to do: Enjoy sunrise and sunset. 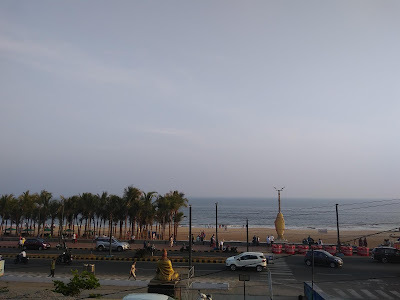 I hope you enjoyed my vlog and if you have visited any other beaches in Vizag which have become your favourite then please share in the comment.